Developed by the American Kennel Club Toy Breeder of the year, Tony Cabrera, this product will safely remove even the darkest and most resistant stains and will maintain your dog or cat’s face meticulously clean. See full product description below. 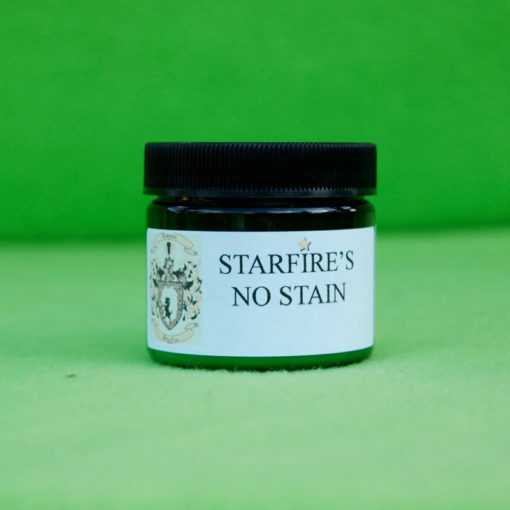 Starfire’s No Stain is the ultimate stain removal product that safely and effectively removes stains around the eyes of your pet. Developed by the American Kennel Club Toy Breeder of the year, Tony Cabrera, this product will safely remove even the darkest and most resistant stains and will maintain your dog or cat’s face meticulously clean. 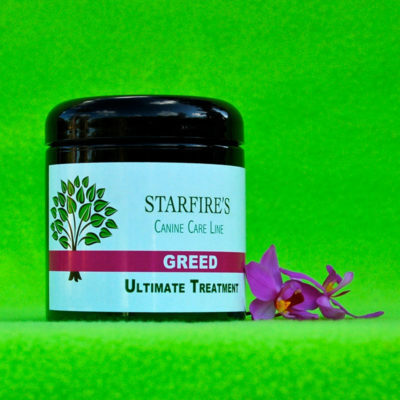 Tested for over 20 years by some of the world’s most renowned breeders, this product will keep all breeds of dogs and cats clean—even those with ice white coats. This safe and easy to use powder, is applied in seconds and contains no bleach or peroxide. Starfire’s No Stain will not damage your pet—even if ingested. Your pet’s face will be as clean and sparkling as any Best in Show winner—guaranteed! Animals with Short Facial Hair Dip into the application brush into product and blot the stained area until covered in powder morning and night. For long haired dogs with wrapped facial hair, put product into cup and mix enough hot water to make a thick paste similar to toothpaste. Apply to facial hair and then take plastic sheet of wrapping paper and wrap and band facial hair with product on. For heavy staining, apply twice a day until staining is gone. For maintenance, repeat instructions but only comb out, reapply, and re-wrap every two days.